Holiday Hours and a rare Monday appearance. We wish everyone an amazing Holiday! If you have expiring flexible spending dollars, we can help! We have a ton of beautiful new designs in stock looking for new homes. Among them the amazingly durable and stylish new collection from OVVO Optics. 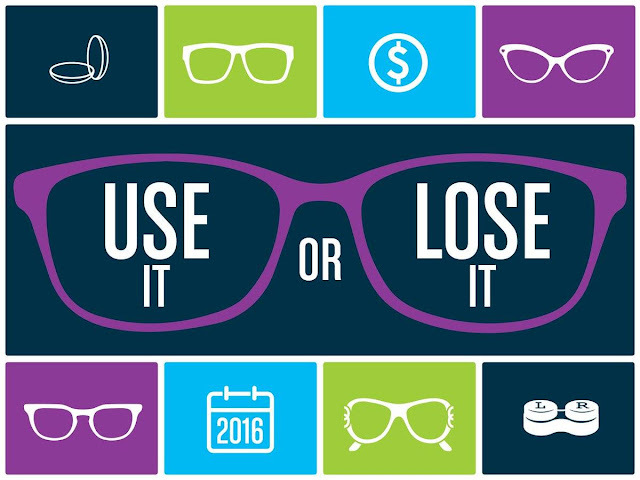 Don't settle for average glasses, stop in and let us style you in the perfect pair for you to see in the New Year. But don't wait, 2019 is just around the corner! Just a heads up, that we ARE open at both locations today and tomorrow. Bel Air will be open 10-6 today and 9-1 tomorrow for Small Business Saturday. 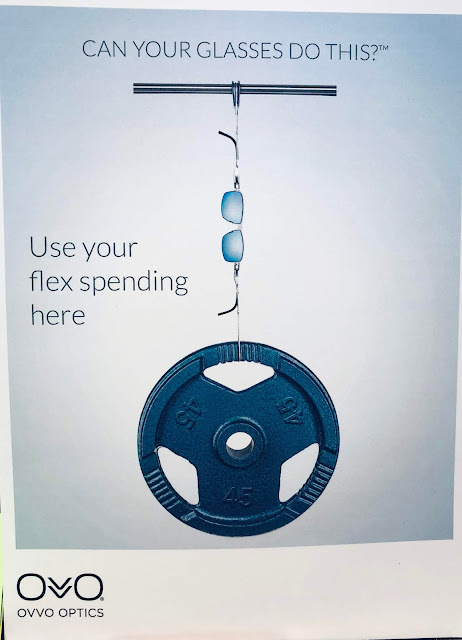 We hope every one has had an amazing Thanksgiving, stop in to maximize your flex spending dollars or give the gift of great spex and get a gift certificate! 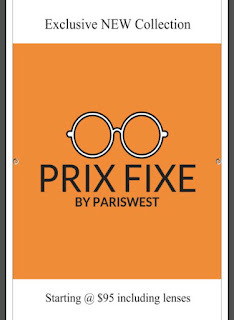 PRIX FIXE by Paris West. Old School Service at an Online Price. Hi! Sorry for the lack of updates pretty much all this year, it's been hectic (and I'm old so I move slower). However, my New Years Resolution (that I'm making in November) is to update a LOT more often... both here and on Facebook and Instagram. To that end, we are excited to announce the official launch of our exclusive new PRIX FIXE collection. (that's fixed price in French or so I'm told...and hey we ARE Paris West after all). With all of the online and discount eyeglass options out there, my friends and customers would ask what we had that would be in a similar price point. The reality was we had nothing, we are a high end, high service boutique and the cheap options out there were quite honestly too crappy to get excited about. (Yep, call me an eyewear snob, I can handle it). Spring Cleaning Sale! Look for the GOLD STARS! 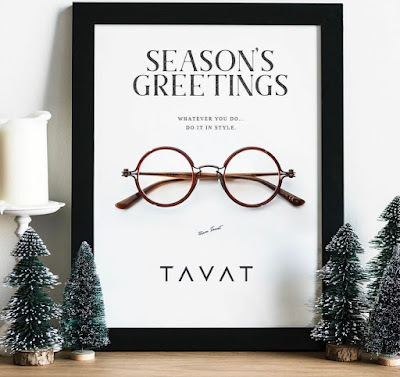 With Spring around the corner and all of the big optical trade shows happening now and in the near future, we are super excited to see what new beautiful specs we will have arriving in the coming months. Unfortunately there's a small problem...we don't have any room to put them. So this bit of bad news for us is good news for you...we are having a sale. A BIG SALE. We will have hundreds of amazingly beautiful eyeglasses and sunglasses at both our Downtown and Bel Air shops marked with pretty sparkly GOLD STARS. You know the kind, the cool stickers you got when you performed well in school. Well, actually I had no idea what they looked like until recently. Now a dunce-cap, I was pretty familiar with, but that's another story for another day. 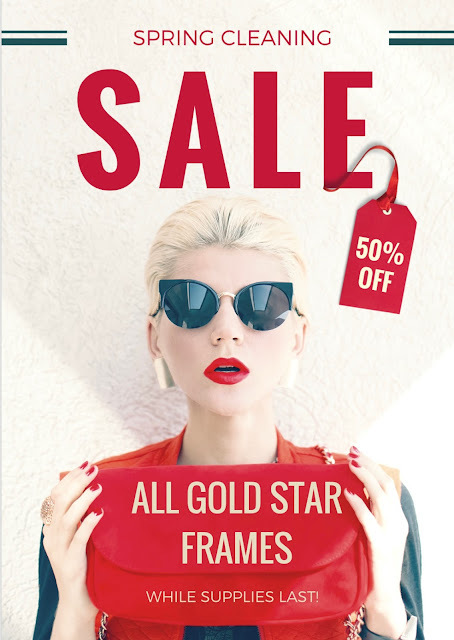 So stop in, look for the shiny gold star stickers and SAVE 50% off that pair of eyewear. No, that's not a misprint, it really is 50% OFF, but only while supplies last, cause when they're gone, they're gone for good. End of Year Trunk Show! FHONE, Roger, Tarian, Rain City and Ultra Limited! It's that time again, the winding down of yet another year. Having done this 22 times already we are almost used to it (almost). Our phones are almost back to normal, our shelves are stuffed with amazing selections and we have gift certificates available. Doc Larry is in both Friday 12/22 and Friday 12/29 if you need to check your vision before you watch the ball drop on New Years Eve. If you have some FSA/HSA dollars burning a hole on your wallet, we can help! And finally, for some big news, we are ending the year with a BANG! Ok, maybe not a literal bang, I'm not allowed to have firecrackers after that one incident back in the 80's where I blew up my dad's 8-Track Player (and his REO Speedwagon music collection - hey, I thought I was doing him a favor). Where was I? Oh, that's right, the BIG NEWS. We are having (for the first time ever) a year end TRUNK SHOW EXTRAVAGANZA!! !